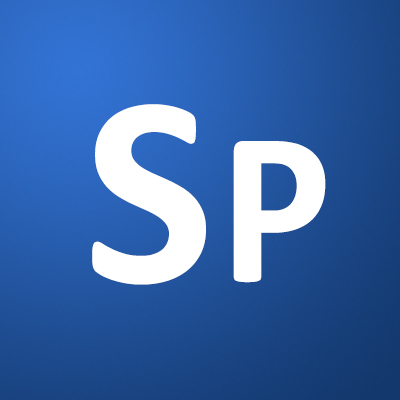 Photoshop CS6 includes several new features that you can use to create 3D and video effects. In this tutorial, we will combine these new tools to simulate 3D depth in a 2D photograph using the new 3D and video timeline features available in Photoshop CS6 Extended. Make a copy of the image and rename it "Backdrop" and hide it. We will use this later. Go ahead and rename the original background layer to "Original." At this point, we need to define the areas within our image that we can extract to separate layers. As you can see, I've defined 6 separate layers to be extracted. We will now start extracting the layers as defined in Step 3. You can use any method you prefer, but for this tutorial, we will cover how to extract these shapes using the Channels panel. To start, go to the Channels Panel and duplicate the Blue Channel. This channel will give us enough detail (contrast) to work with. We will work on extracting layer "F" according to Step 3. Start by selecting a soft brush with the Foreground/Background, set to Black/White. Change the mode to Overlay. We will use this brush to paint over the image along the edges that define layer "F."
In Overlay mode, White will focus on making the lighter parts lighter and Black will focus on making the dark parts darker. Continue to define the edge of our pre-defined shape using both colors. This method allows us to define a more complex (and thus, more natural) edge. Using a hard brush with the Mode set to Normal, paint in the remaining areas until the Channel is solid black and white. Press Command/Ctrl + I to invert the colors. Command/Ctrl-Click the Channel's Thumbnail to make a selection. Go back to the Layers Panel and with the "Original" Layer still selected, Copy (Command/Ctrl + C) and Paste (Command/Ctrl + V) the selection to a new layer. Name this layer "Front Bale." Continue this technique with the remaining layers. Below you'll see the Channel with its corresponding Layer. Now that we have separated our image into different layers, we need to do some clean up. To explain this, I've created a test animation. As the layers pass over one another in 3D space, we can see the image repeats on each layer, causing a series of unwanted repetitive pixels. To sell the illusion of a 3D field, we need to remove the repetitive imagery behind each layer. Start by hiding all layers except the "Bale 2" layer. This can be done quickly by Alt-clicking the "Bale 2" layer visibility icon. Use the Content-Aware Move Tool and the Patch Tool to clone out the foremost hay bale (on the lower right of our layer). It is not necessary to remove this hay bale altogether, we just need to hide enough of the repetitive pixels so they won't be visible when we start moving our layers in 3D. Continue editing each layer to remove the repeating pixels from the layer in front. Again, we do not have to be perfect. The last thing to edit is the "Backdrop" layer. Using the Clone Tool, remove the trees and extend the mountains and sky downward. Hide the "Original" layer. We don't need this visible any more. It's time to create our 3D scene. Select all layers, right-click (or Command/Ctrl-click) and select Postcard. This will convert all layers to a 3D Postcard (it will also preserve any transparent pixels that exist in each layer). Currently, each 3D object is in its own scene. We need to merge all 3D objects into the same scene. In the Layers Panel, select all 3D layers and press Command/Ctrl + E to merge them into the same scene. In the 3D Panel, select the "Current View" camera and go to the Properties Panel. Under the View section, save the camera as "Animation View." This will add a new camera to our 3D panel. Since we haven't moved the camera's position yet, the "Animation View" camera is just a copy of the "Default Camera." In the 3D Panel, make sure the "Current View" camera is still selected and use the navigation tools to position the camera so we have a better perspective on our scene. We want to save this camera view as well. Saving this camera view will allow us to go back to this view at anytime. Go to the Properties Panel, select the View section drop-down and Save. Label this "Perspective View." We have just created two camera presets to help our work flow. You can test these cameras by clicking on each one in the 3D panel. Your viewport should reposition to each saved view. Note that our 3D scene has a lot of artifacting. This is occurring because all of our layer are occupying the same space, therefore, Photoshop is attempting to show us all six layers at once. The next step requires us to be in the "Perspective View." Select the "Front Bale" object and, using the on screen widget, move the object forward in our scene (along the Z-axis). The farther forward we move this object, the more exaggerated our final animation will be. Continue moving the other objects in the scene so that they are spaced out from one another. Consider the spacing of each layer. For example, "Bale 2" and "Bale 3" appear close to one another in the original image, therefore, those 3D objects should also be relatively close. In the 3D Panel, select the "Animation View" camera to move the camera to its original position. Our scene may appear chaotic, but we'll fix that in the next step. Using the 3D Panel, select each object and scale it so that it is slightly larger than our frame. Use the on screen widget to scale (this can be tricky since the handle that controls the scaling is partially hidden by the blue handle). It's time to animate the camera. We will be using the "Animation View" Camera to animate, so make sure to select this in the 3D Panel first. To set up our scene for animating, we need to create a new timeline. If your Timeline Panel is not visible, go to Window > Timeline. Click on the button labeled "Create Video Timeline." Notice that our 3D Scene shows up in our timeline. Click the arrow next to our scene name ("BackDrop") to Twirl down the additional properties. Locate the "3D Camera Position" layer on the timeline. We will use this layer to animate our camera. Click the Stopwatch icon on this layer to enable keyframe animation. This will automatically place a keyframe at the position of the current-time indicator on the timeline (denoted by the blue arrow and red line). Since we haven't moved anything, our first keyframe should appear at frame zero. Now, click at the 5.00f point in the timecode display to move the current-time indicator here. In the 3D panel, make sure the "Animation View" Camera is selected and use the modifier tools in the top menu to manipulate the camera. This should automatically add a keyframe to our layer. If not, just click the Add Keyframe icon. Since we only want to render the parts of our scene that are animated, we need to define which part of our timeline is rendered (known as the Work Area). To define the Work Area, adjust the slider directly below the timecode display so that it lines up with the last keyframe. This shortens the duration of the animation so it only renders the frames in which the camera is moving. To preview what we have so far, press the space bar. If you are satisfied with the animation, we can continue to rendering, Otherwise, continue adjusting the camera's position. Save your file! Our next step is to render, so now is a great opportunity to save. To open the Render Video dialogue box, go to File > Export > Render Video. Make the changes shown below. I recommend always rendering out to an image sequence especially when using 3D. If your computer ever crashes during the rendering process, you can pick the rendering back up from the last frame. After the rendering has completed, open the rendered image sequence as an animation. To do this, go to File > Open As, navigate to your renderings folder and select the first image in the sequence. Make sure to select Image Sequence at the bottom. This will tell Photoshop to import all frames in sequential order. Click Open. The files should now appear in your timeline as an animation. Notice that the video appears as a Video Layer in our Layers Panel. Just like traditional layers, this new video layer can use Adjustment Layers. At this point, feel free to enhance your image using Adjustment Layers. In this example, I've added a simple Levels Adjustment Layer. The last step is to render the timeline to video. Since we are just rendering still frames and no 3D objects, our rendering process will be much quicker, therefore we will render directly to a .MOV format.